I’ve done many golf shirt reviews in the 8 years I’ve been running this golf blog. The shirt from Energy Athletic Golf was the first I tested out that is made of fabric that contains ionic energy through a negatively charged ionic field. I’ve used an ionic bracelet before so I was intrigue as to how this shirt might help my golf game and energy levels. Each shirt has the exclusive IonX Ionized treatment which embeds negative ions into the fabric during manufacturing. It’s called IonX Ionized Energy Fabric™. 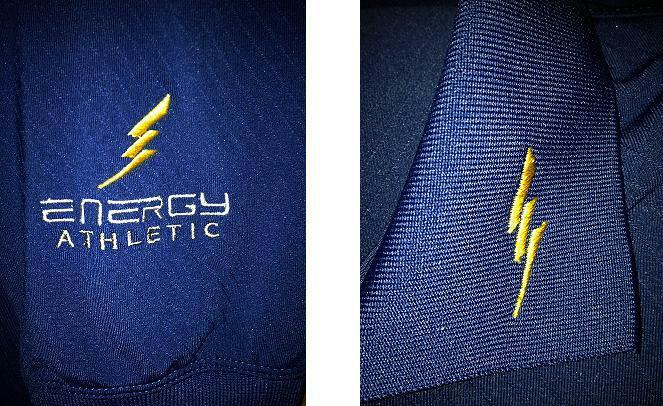 The shirt I got to test out was Energy Athletics long sleeve version in neutron navy. I got to wear my Energy Athletic golf shirt for three rounds here in the Ottawa area this Fall. As far as giving me any extra power and energy for my golf game I really didn’t find it improved my game in those areas. Where I did find it help my energy levels was when I wore the shirt during my regular job as a mail carrier for Canada Post. I have an incredibly demanding route with over 800 points of call. The days I wore the Energy Athletic shirt I definitely notice my energy levels were better and I still had energy after a 10-12 hours shift. Was it the shirt? Possibly because I keep my routines the same and the Energy Athletic Shirt was the different variable. I still can’t honestly say 100% it was the shirt. What I can say is that regardless of its embedded ionic properties. The Energy Athletic golf shirt is one comfortable shirt, the mix of 95% polyester and 5% spandex was very lightweight and the XL fit great for my 6’4” frame. 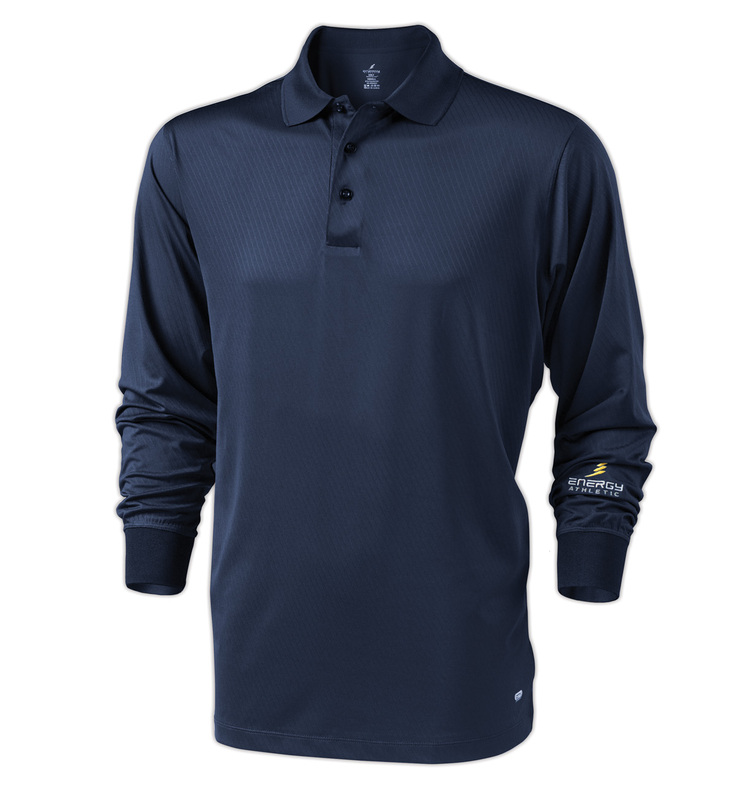 The fabric of the shirt also has great moisture wicking properties as well. At under $70 it’s also reasonable priced in comparison to other premium brands. So regardless of its ionic properties Energy Athletic has one decent golf shirt in a plethora of colors.